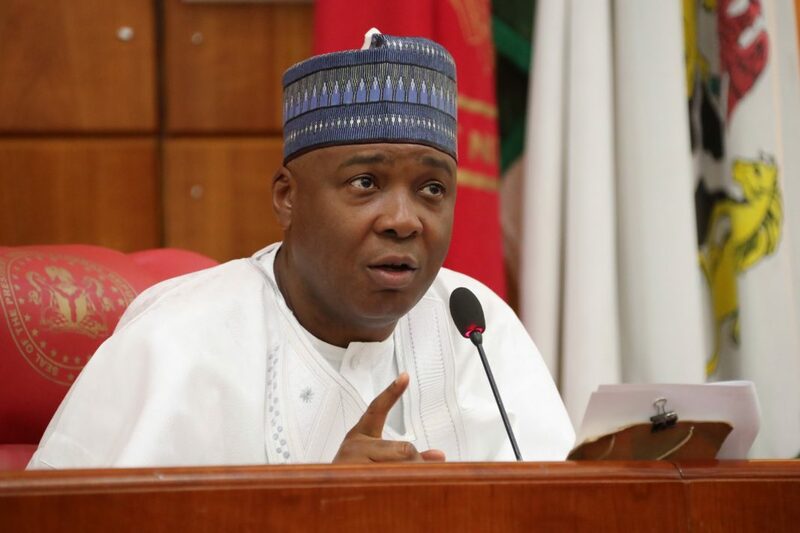 Saraki noted that he had been inundated with telephone calls and discussions by members of the National Assembly who expressed concern about the delay in the signing into law, of the new electoral bill, as the one month period provided by the law for the president to sign a bill presented to him by the National Assembly is about to expire in the next few days. “We do not want the president to allow the setting of a bad precedent where somebody would go to court, in future, to stop the passage of an appropriation bill or any essential law which will be important to the development of the country. “My position remains that the president, his aides, the entire country and the international community are aware that all the concerns raised by the president, on the last three occasions he withheld assent to the bill, have been addressed by the Legislature. We bent backwards on each occasion to accommodate the wishes of the president. We started work on this law since 2016 to prevent a situation where it would become part of the election controversies. “The president should know that the survival of democracy, its development and the future of Nigeria are far more important than the ambition of any individual or party. I am seizing this opportunity to call on president Muhammadu Buhari to put a stop to this uncertainty in the political process by signing, without delay, the 2018 electoral bill, so as to allow Independent National Electoral Commission (INEC) and the concerned parties know how to prepare for a credible process,” Saraki stated. Earlier, the People’s Democratic Party (PDP) warned INEC to conduct free, fair and credible elections in 2019 or incur the wrath of Nigerians. PDP National Chairman, Prince Uche Secondus said this in Ilorin, yesterday, during the North Central presidential rally of the PDP candidate, Alhaji Atiku Abubakar. “Let us warn the INEC chair that he should not cause crisis in Nigeria by rigging 2019 elections. If INEC wants peace in Nigeria elections must be free and fair. If INEC likes, it should ignore the card reader, manipulate the machines or do whatsoever INEC wants to do but Nigerians will not accept rigged elections. So, you better be warned. On his part, Atiku said the All Progressives Congress-led government has let Nigerians down through non performance. Saraki lamented that the insecurity situation in the country has degenerated, especially in the North Central and North West states. He added that Nigeria’s corruption ratings by international organisations has plummeted. Earlier, Kwara State Governor, Abdulfatah Ahmed said the state is wholly PDP. “Kwara state goes where Nigerians go. Kwara and indeed, the whole Nigeria area are ready for the next president of Nigeria in person of Alhaji Atiku Abubakar. Kwara state, as you can see, from the turnout today (yesterday), is without question, a PDP state. “We are fully ‘Atikulated’ and come February 2019, we will fully deliver Kwara state to PDP.